Did you just get engaged? 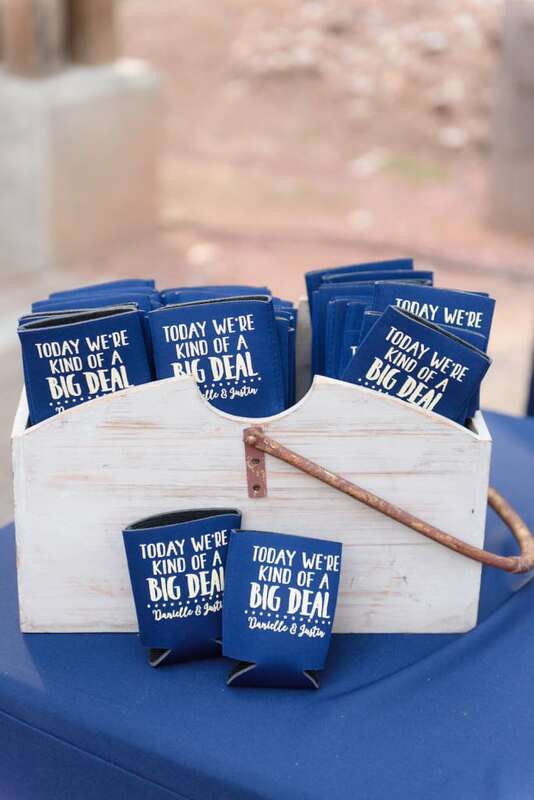 Starting to plan a wedding? Not sure where to register? We understand it can be tough. You want to make sure you’re getting gifts you’ll use for a long time but you also want to make sure they’re somewhat affordable. If you’re a young couple you’re going to need everything from plates and bowls to bath towels and shower curtains. However, older couples may already have the necessities and might not be sure what to register for at all. Well we’ve got you covered! Here’s some helpful tips on where to register and what to register for. It’s important to register places with a wide variety of items you’ll want. You don’t want to register somewhere where you’re only looking to get one or two items from their store. It’s also nice to register at stores that have multiple locations, a lot of people want to buy a gift they can touch before purchasing so being able to go into the store and see your registry and the items available makes your guest feel more comfortable about making a larger purchase. Williams-Sonoma makes it super easy to register online for your wedding as well as make it easy for your guests to find your registry online. With 612 locations Williams-Sonoma is also super convenient for most guests to go into a store and pick out a gift off your list! Crate&Barrel is awesome for similar reasons to Williams-Sonoma. They make it easy to find and make a registry online as well as have stores in 28 different states. The best part is that Crate&Barrel has adorable furniture at an affordable price! Let your cousins all go in on a new couch for your new house together! Pottery Barn is perfect for just about anything: furniture, linens, lighting, but their real secret is in their towels. Pottery Barn is known by just about everyone and available to just about anyone at their local mall, so again, let your guest pick out in person your gifts! If you’re looking for something on the upper end of pricing for furniture or maybe just want a really beautiful new comforter then Restoration Hardware is your place. They may not be the cheapest store on the block but their products definitely last! Pro: they are also super easy to register for online! Once you’ve picked where to register it’s time to pick what to register for. This really depends on what you need. If you’ve never lived on your own you’re basically going to need everything: towels, sheets, pots, plates. etc. However, if you’ve been out on your own for a while you might want new master bedding and maybe a couple new towels but for the most part you’re set! So what do you ask for? Here’s some cool new items you might not have thought of asking for. Some Fun Ideas We love! Tradition says that when giving a gift at a wedding you’re actually supposed to send the gift to the couples address rather than bring the physical gift to the wedding. 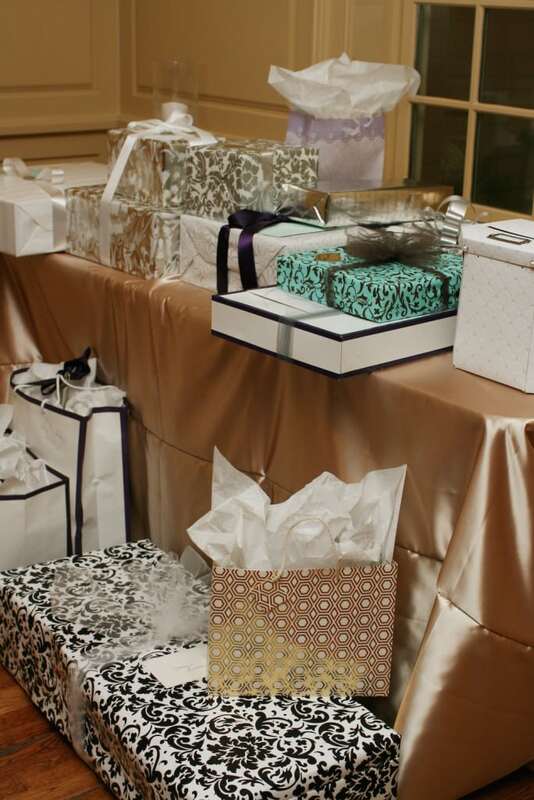 However, that’s not a rule most people follow so you have to have a gift table somewhere for those guests who want to bring their wrapped goodie with them. We’ve had some brilliant brides over the past couple years do some cute things with their gift tables and with the gifts their giving to their guests! Anne and her groom decided to place their gift table right at the entrance! This is a very convenient spot for your guests so they don’t have to search the reception site for a spot to put it down. 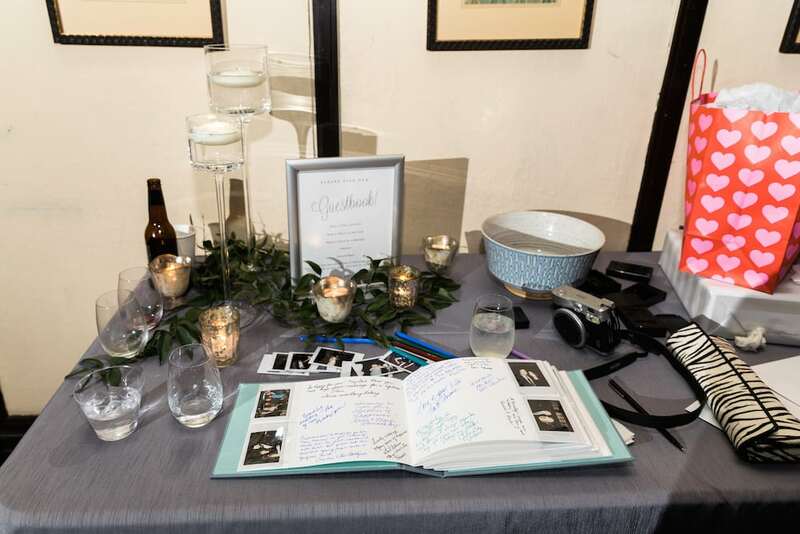 They used their gift table and guestbook on the same table so no one could miss it! Atop our charcoal dupioni linen, this table was an eye-catcher! Photography by Mary Margaret Smith Photography. Sometimes you gotta let it stand on its own! This couple was prepared for the amount of gifts they would be brought at their wedding and it’s a good thing. This gold satin table was perfect on its own but still a beautiful table once the gifts were placed on top.